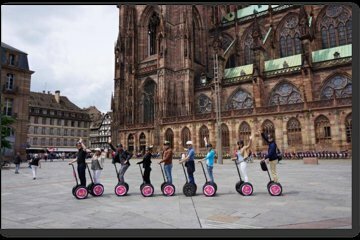 Strasbourg’s UNESCO-listed Grande Île is mostly pedestrianized and a Segway tour offers a fun and efficient way to get around, and explore further than you could on foot. On this tour, glide around the scenic canal ways of La Petite France, then leave the island to tour the European Quarter and admire the German architecture of the Neustadt. We had rain during our tour, but it was still great. The tour guide was very knowledgeable and made everything interesting. We were given rain gear and off we went.